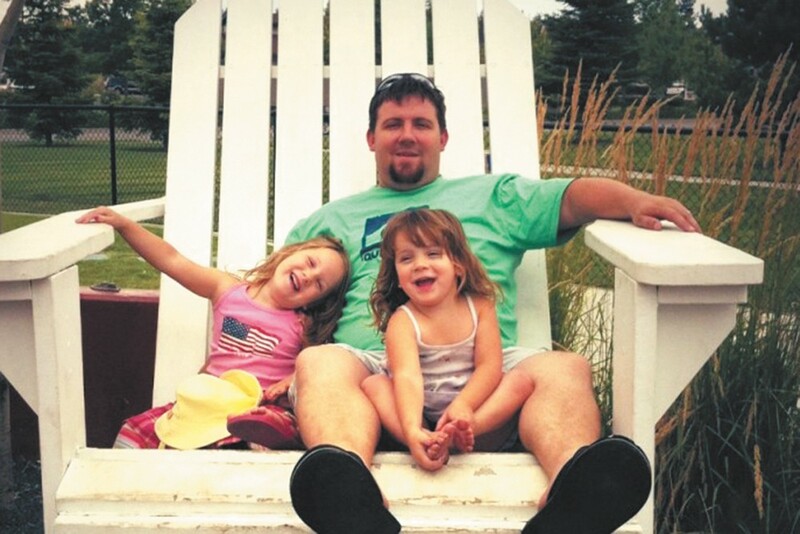 Mike Baroni and his two daughters were killed in a car wreck on Saturday. If you've picked up an Inlander on the South Hill recently, you probably had MIKE BARONI to thank. He was one of the Inlander's independent contract drivers, trucking big piles of the publication and putting them on stands at spots like Huckleberry's, Sacred Heart, Deaconess and Trader Joe's. He also delivered papers for the Spokesman-Review. Justin Hynes, the Inlander's circulation manager, remembers how Baroni would sometimes bring his two daughters with him to pick up copies of the paper. "When we had a driver meeting... he always had something funny to say and had everybody else laughing," Hynes says. On Saturday, authorities say, an allegedly drunk 27-year-old, driving the wrong way on U.S. 95, collided head-on with Baroni's Dodge Caravan, killing Baroni and his daughters. Baroni was making early-morning deliveries for the Spokesman at the time. Their deaths cut across the community, as those who knew Baroni and his children grieved, remembered and extended sympathy. Both daughters attended the Montessori program in Spokane Public Schools. Baroni's wife Meghan is a nurse at several Spokane schools. The district's crisis team, which dealt with a number of student suicides last year, quickly mobilized to meet with students and provide support. "The team is well-versed in tragedy," spokesman Kevin Morrison says. A friend of Meghan's, Suhanna Hamilton, launched a GoFundMe page to raise money for Baroni's wife. "When something as devastating as this happens, there are no words. I know there [are] a lot of us that want to help in any way that we can for the loss of Meghan's whole world," Hamilton writes on the page. "Meghan is one of the most caring, gentle, and kind mothers and [wives] I know. She's hard-working and amazing in all facets of her life." After nearly a year of City Council and the city administration sparring over the MAYOR'S SALARY, there's been another delay in determining just how much Spokane's top elected official should earn. The Salary Review Commission, a citizen-led group that reviews and "establishes realistic wage standards" for the city's elected officials, has delayed its work at the request of Mayor David Condon until it can find people to fill two vacancies. The five-member commission is currently lacking representatives for its District 2 and District 3 positions. Although the commission has a quorum, it made the decision to delay its work until it can fill those two positions. "I can't believe there aren't people out there who wouldn't want a chance to set the mayor's salary, or our salary for that matter," said Councilman Jon Snyder, explaining the situation at Monday's Spokane City Council meeting. In August, voters approved a ballot measure that gave the Salary Review Commission final say on the mayor's salary. Previously, the city charter mandated that the mayor's salary should match that of the highest-paid city employee. The arrangement had resulted in the mayor taking home $172,000 last year.